GAINESVILLE, FL — The 2016 Florida Relays will setup some useful early season outdoor clashes in both the short and long sprint hurdles events. In the men’s 400m hurdles, American Kerron Clement, Dai Greene of Great Britain and Jamaica’s Leford Green are the leading entries while Ryan Brathwaite of Barbados, Americans Jarret Eaton and Jason Richardson and Eddie Lovett of the U.S. Virgin Islands head the list of entries in the 110m hurdles. Brathwaite, the 110m hurdles world champion at the 2009 IAAF World Championships, will look to improve on his 13.78 seconds seasonal best performance in 2016 when he clashes with Richardson, the 2011 world champion and 2012 London Olympic Games silver medal winner. Like Brathwaite, Richardson has also made a modest start to the season — running 13.70 secs in Orlando, FL on March 19. Fellow American Eaton, the fourth-place finisher at the 2016 IAAF World Indoor Championships in Portland, Oregon, earlier this month and another finalist at the championships, U.S. Virgin Islands’ Lovett, will also add strong international quality. Jamaica’s Dwight Thomas will also be in the field for this year’s Florida Relays. Meanwhile, in the men’s 400m hurdles, Great Britain’s Greene, the 2011 world championships gold medallist from Daegu, and owns a personal best of 47.84, will take on two-time world champion Clement, the gold medallist at the 2007 and 2009 world championships, whose career-best sits at 47.24. 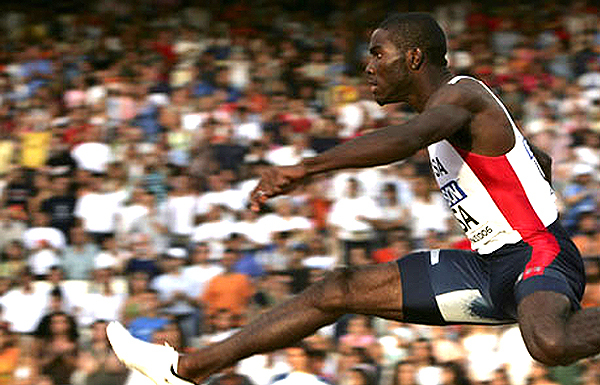 The 400m hurdles event will also include world-leader Eric Futch of the United State who has a 2016 best of 49.45. In the men’s open 400m, the internationally listed athletes includes Jamaica’s Ricardo Chambers, his countryman Roxroy Cato, a specialist in the 400m hurdles, Bahamas’ Jeffery Gibson, another 400m hurdles specialist, and countryman Alonzo Russell, as well as David Verburg of USA. In the men’s 100m, Cayman Islands’ Kemar Hyman, USA’s Sean McLean, Marquis Dendy, a long and triple jump specialist, will also race in the straight away event, so too is Tony McQuay, a regular 400m runner.